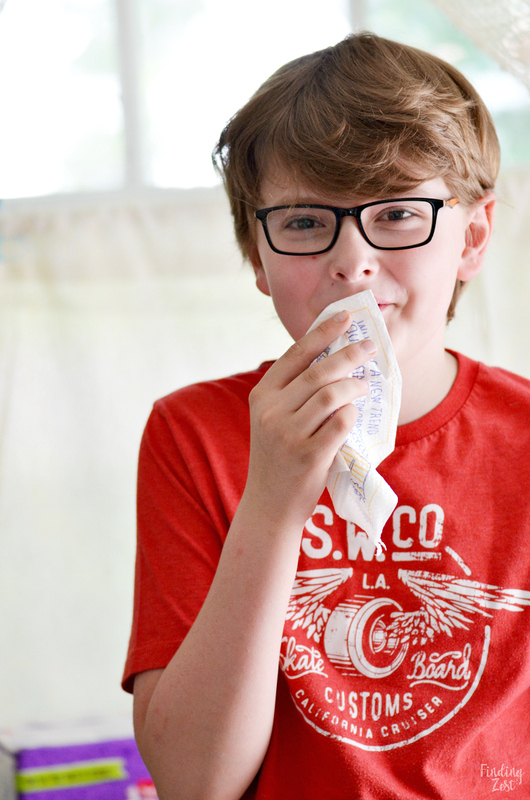 Do you have a picky eater? 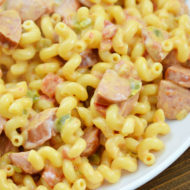 Two of my three kids want the same things over and over for lunch. 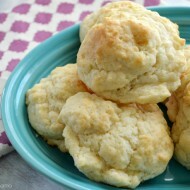 When back to school rolls around I’m always on the hunt for new kids lunch ideas to change things up. 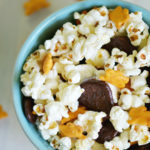 Over the years I’ve found that listening to my kids and working with their favorite foods to add variety keeps both them (and me) interested in their lunch. 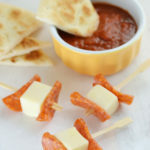 This concept works well for almost any picky eater and can be applied with various foods. 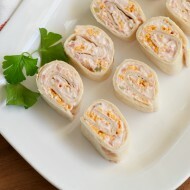 Here is an example with three peanut butter recipes for lunch that go beyond a traditional sandwich! My kids all love peanut butter and it is allowed in their school. 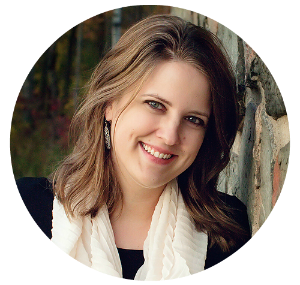 (They have nut free classrooms and protocols for the lunch room.) But this could easily be applied to other types of spreads or only served at home. 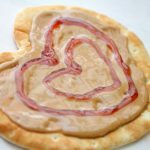 All three of these peanut butter kid lunch ideas are quick and easy to make for bagged lunches, making them great options for back to school. Mini bagels work great for any type of sandwich or even mini pizzas. 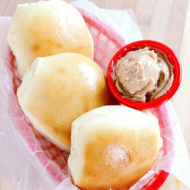 The peanut butter can easily be swapped out for cream cheese. You can serve them open faced or for less mess, put them together as a sandwich. 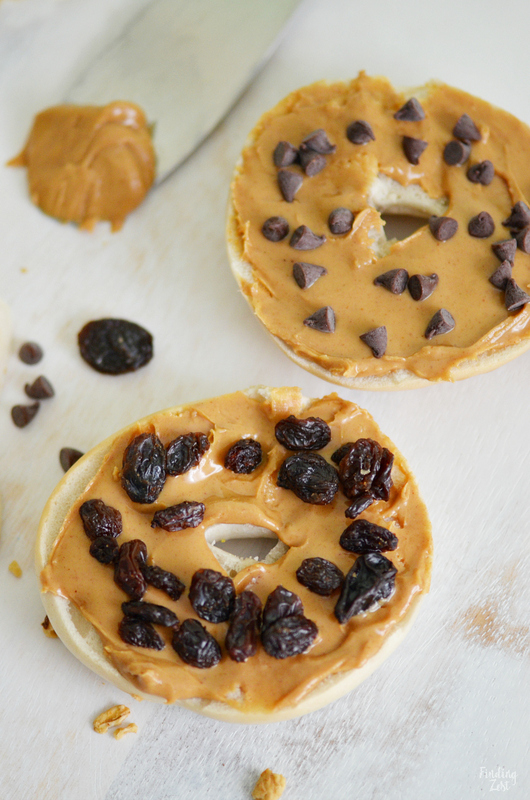 How to Make: For this example I topped our mini bagels with peanut butter and then sprinkled raisins or mini chocolate chips. Banana and peanut butter are a winning combination and even Elvis thought so. 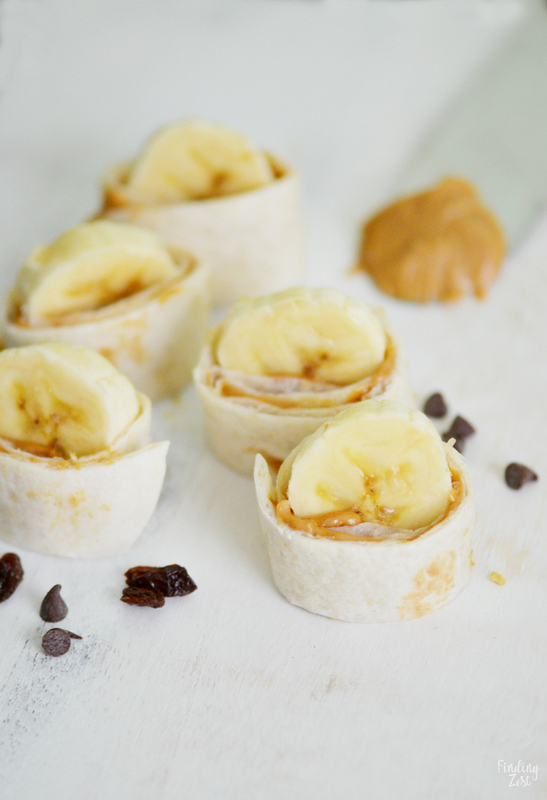 My middle son has been making peanut butter and banana sandwiches for a while now and these peanut butter and banana roll ups are a great way to enjoy them in a new way. 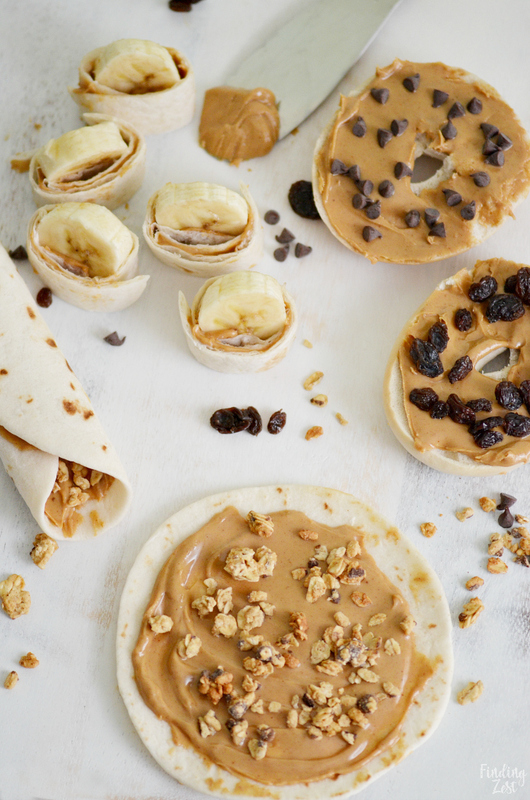 How to Make: Spread peanut butter on a tortilla and add a whole banana before rolling and slicing. You can also insert sliced bananas after you cut the tortillas. If you add them after like I did, be sure to make your wrap very loose so there is room. I touched a little on this concept already with my apple peanut butter wraps, but this time I made it into a mini version without fruit. I spotted extra small street taco tortillas at the store and thought they’d be perfect for my kids school lunch. I normally have to cut larger tortillas to fit a lunch box and that can make them messier. These tortillas solve that! 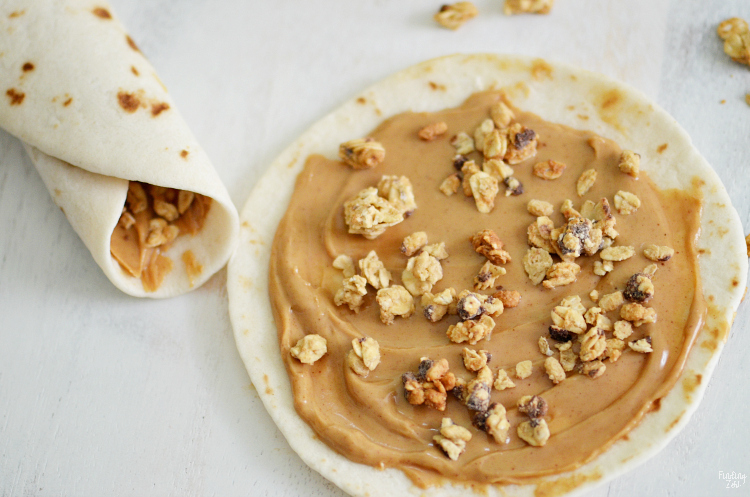 How to Make: Spread peanut butter over street taco sized tortillas. 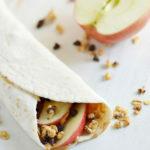 Sprinkle with granola or other favorite toppings and roll up. 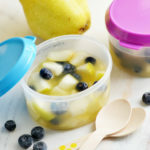 Arm yourself with several ways to incorporate your child’s favorite ingredients into their lunch to avoid the monotony of the same old lunch. 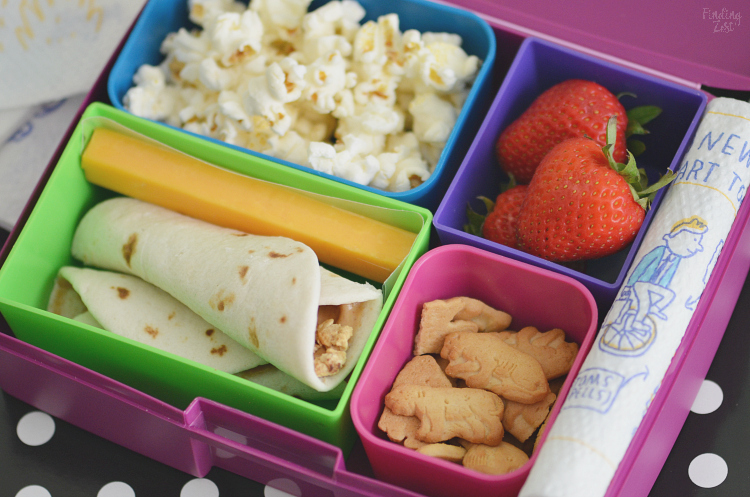 All of my kids absolutely loved these lunch ideas and look forward to having them for school. Don’t forget to to pack a Mardi Gras Napkin in their school lunch. 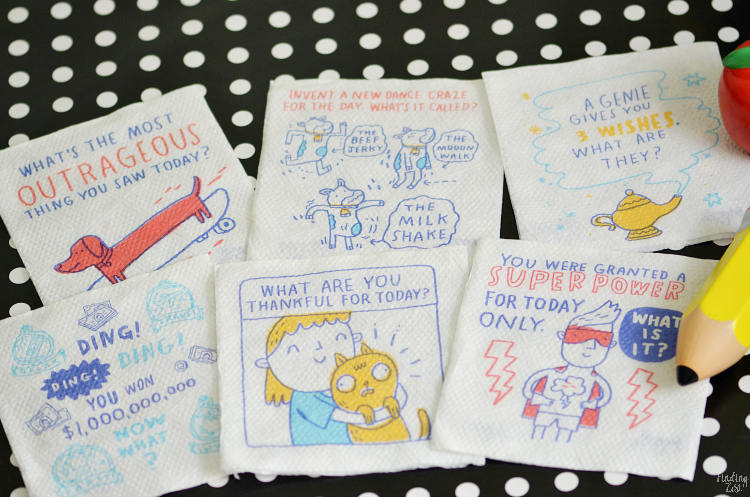 Their new conversation starter napkins are perfect for wiping away any messes and for sparking fun conversations in the cafeteria! 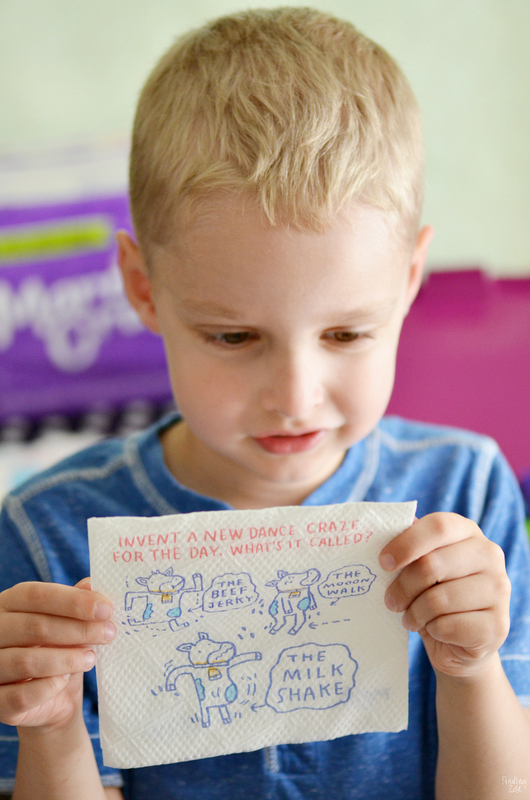 My kids loved reading these new Mardi Gras napkins, especially my six year old. He’s going into first grade and his reading is really developing. 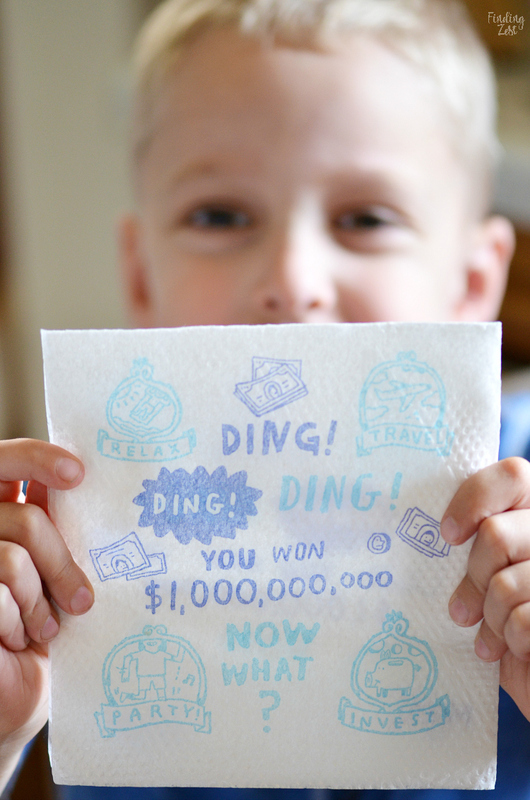 He was so proud that he could read this silly napkin with a little help. 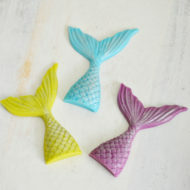 I have two packages of these napkins at home and each one contains 8 different designs. 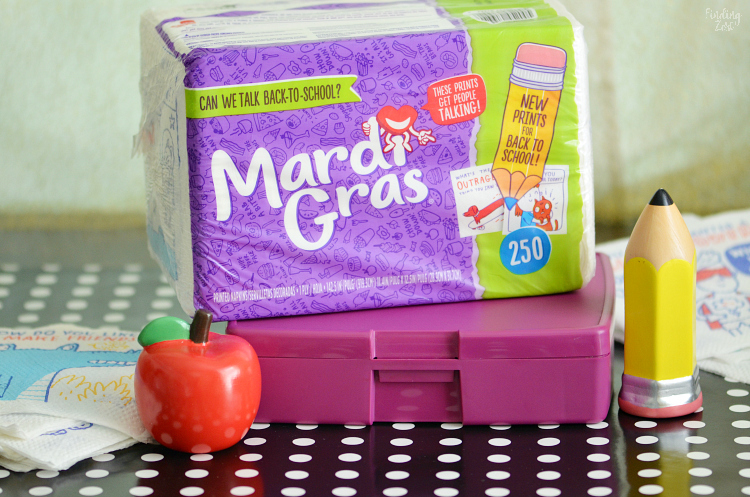 Whether at home or school it is a great time to wipe away the boredom and bring mealtime fun with Mardi Gras paper napkins! Talking with my kids is always a priority, especially at the time dinner table. It is our family time and important to us. But thanks to Mardi Gras, we’ll have some fun discussions that go beyond, “What did you do today?”. 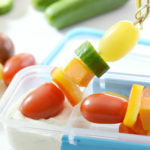 What are your favorite kids lunch ideas?